Life must be miserable for a young talent. 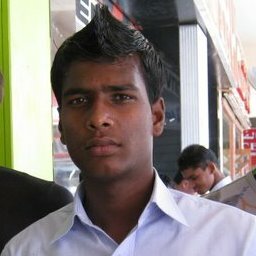 Notably when you are making a positive transition from junior to the senior level, meet the junior-level national and state captain Shankar S.
Signed on loan for HAL during last season’s second I-League window, this 17-year old brilliant player met with an unfortunate knee injury while playing against Pune FC. January 19 - the day when HAL beat Pune FC at their home ground and Shankar played an important role in that win. However, the club deprived Shankar a proper medical attention. It was only in the junior national camp Shankar’s injury was diagnosed – a ligament tear warranting operation. Shankar touted as the next big thing in this part of the footballing world was out of action. His right knee was under the operating knife in May this year and had to shell out 40-odd grand from his own pocket. Coming from a modest background, Shankar hopes AIFF to foot his medical bill. Bulpin did call his ward on when he was in Bangalore with his Indian Arrows team on last April, “Sir called me and advised few exercises”, says Shankar, who is on a recovery mode in his home at KGF. As a part of Shankar’s rehabilitation program, he is into swimming and light weight training these days. He is confident of his return in the big stage. Shankar expects to return in the early part of the coming season, “I will be joining the U-19 team and then reclaim birth in Indian Arrows’, prompts the confident youngster.